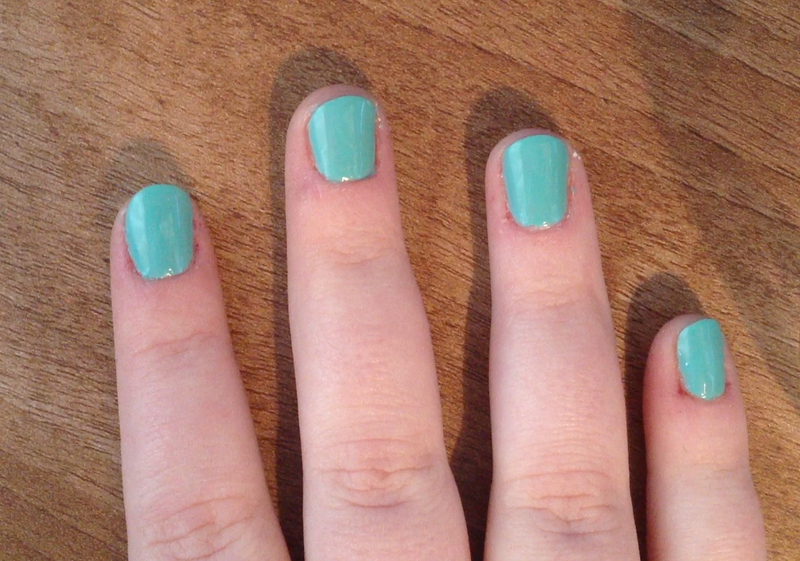 Then paint all your nails and let them completely dry. 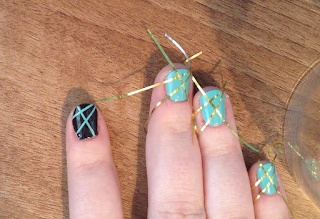 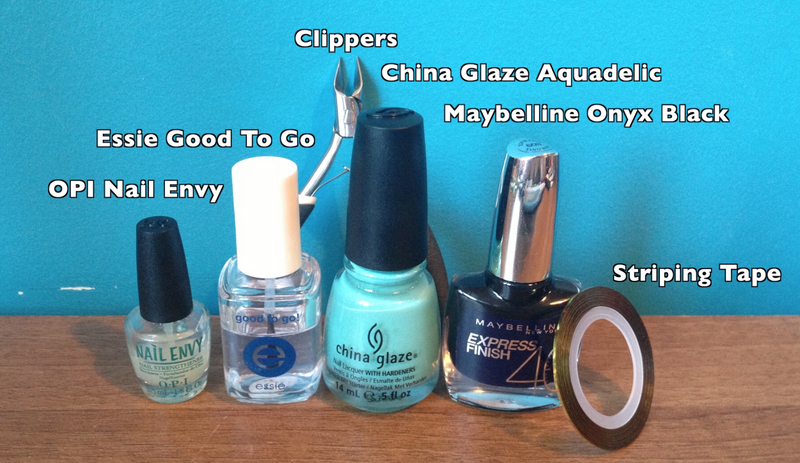 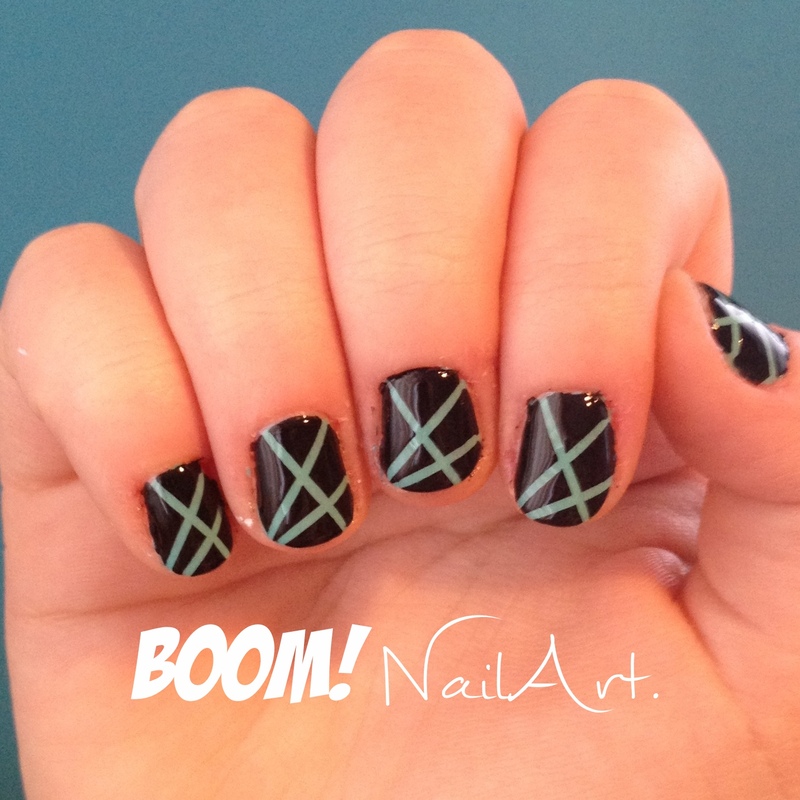 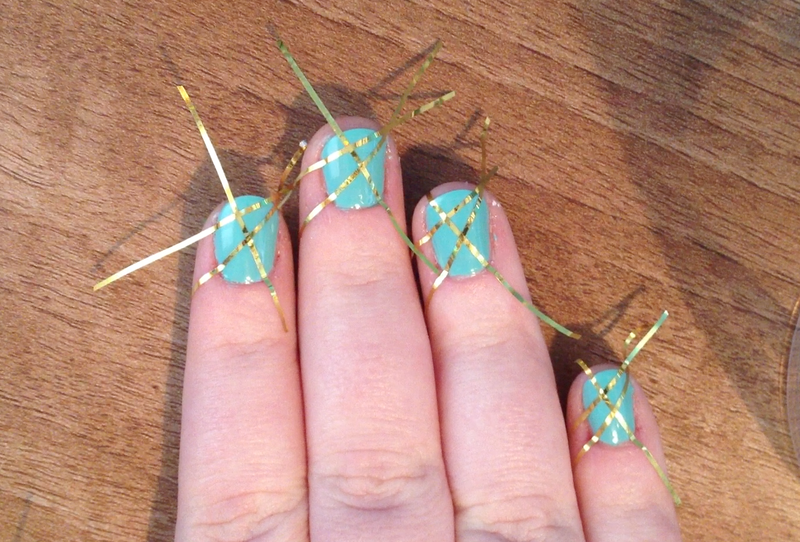 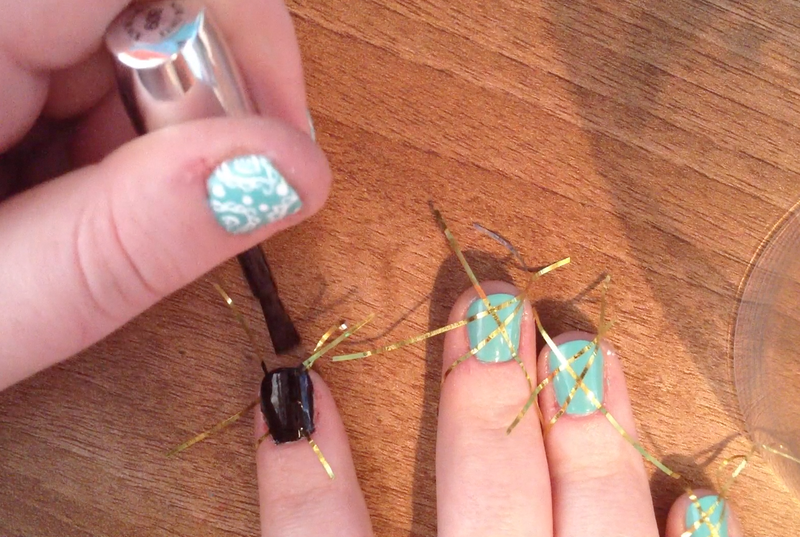 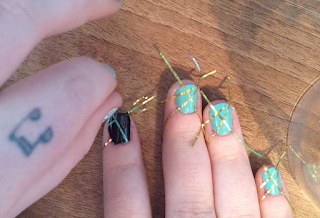 Then place strips of tape across the nail in whatever direction/pattern you want, press them firmly onto the nail. Once all tape is applied, paint a coat of a different colour polish (preferably a darker colour than the base colour - so it completely hides the first colour).